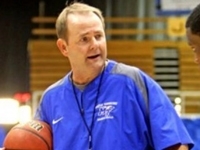 New Pacific head coach Ron Verlin talks about his new job, Bob Thomason, and the Final Four. 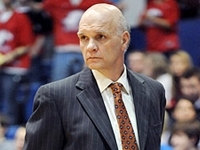 Liberty coach Dale Layer talks about WSU's Gregg Marshall, attacking the Syracuse zone and more. 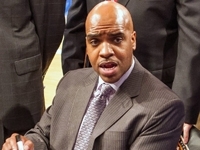 Norfolk State's Anthony Evans talks about his amazing season and the 2013 NCAA Tournament. 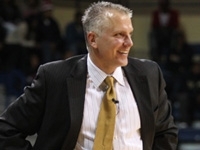 After a fantastic season, LIU-Brooklyn's Jack Perri is a finalist for the Joe B. 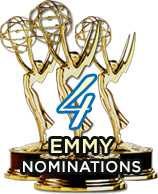 Hall award. 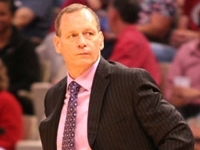 Belmont head coach Rick Byrd talks about getting an opportunity to win and advance in the Dance. 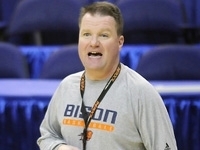 Bucknell's Dave Paulsen talks about getting to the NCAA Tournament after a NIT berth last season. 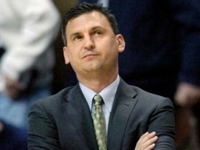 Jimmy Patsos talks about Back to back 20-win seasons and another postseason trip for Loyola. 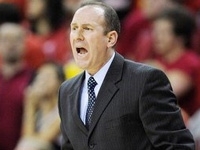 Middle Tennessee head coach Kermit Davis talks about the NCAA Tournament chances for his 28-win team. 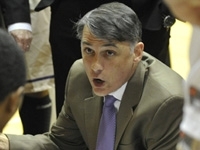 La Salle head coach John Giannini talks about his team and the postseason possibilities. 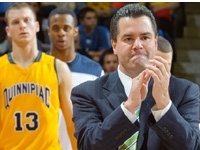 Vermont's John Becker talks about his team and hosting the America East championship game. 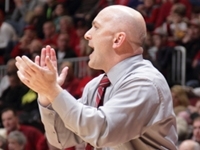 South Dakota State's Scott Nagy talks about back-to-back trips to the NCAA Tournament. 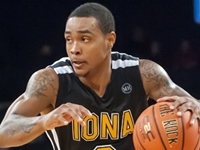 Iona's Momo Jones talks about winning the MAAC and heading back to the Big Dance. 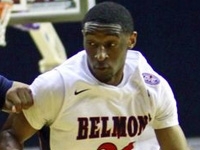 Belmont's Ian Clark talks about his Belmont Bruins and another trip to the NCAA Tournament. 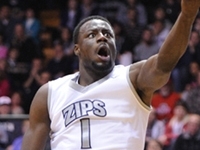 It's been a tough couple of weeks for Akron but Demetrius Treadwell is focused on winning. 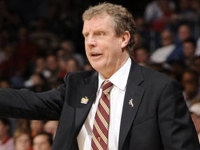 Tim Cluess and Iona are headed to the NCAA Tournament for the second straight season. 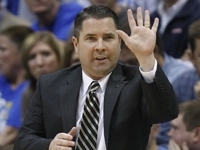 Greg McDermott may get the headlines, but Creighton wouldn't be so good without Grant Gibbs. 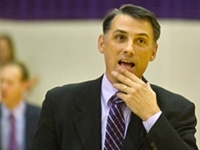 James Madison's Matt Brady talks about the Dukes' first appearance in the Big Dance since 1994. 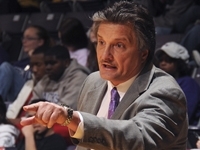 Liberty head coach Dale Layer talks his team's remarkable run to a Big South championship. 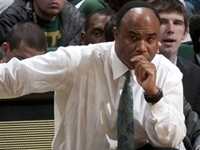 For the first time ever, Florida Gulf Coast is headed to the dance. 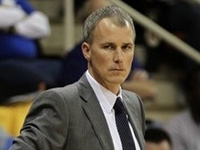 Andy Enfield talks about it. 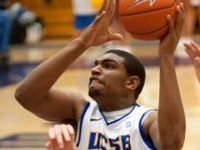 Despite averaging a double-double for the season,UCSB's Alan Williams doesn't get a lot of hype. 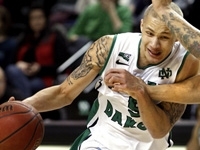 Despite being in third place in the Big Sky, Troy Huff and North Dakota have flown under the radar. 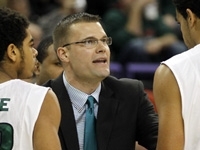 Green Bay head coach Brian Wardle talks about his young team and the Horizon League tourney. 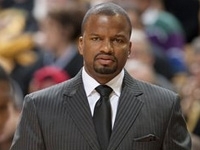 Mount St. Mary's head coach Jamion Christian talks about his team and the NEC Tournament. 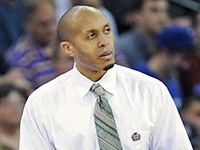 Tennessee State's rookie head coach Travis Williams has his team ready for the OVC Tourney. 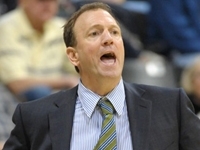 Longwood's Mike Gillian talks about the stunning win over UNC-Asheville in the Big South Tournament. 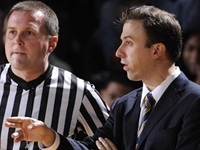 FIU's first-year coach Richard Pitino has his team playing well heading into the Sun Belt Tournament. 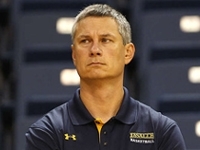 Kent State's Rob Senderoff talks about all the close calls his team has endured and finally breaking through. 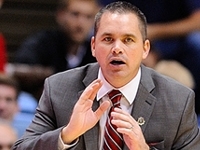 Gardner-Webb head coach Chris Holtmann talks about his team, which is a virtual unknown to most. 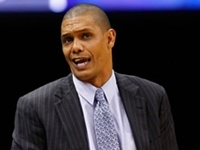 Detroit's Ray McCallum talks about overcoming a slow start and why the Titans are playing so well now. 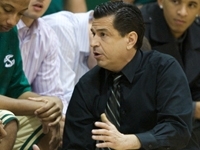 Cal Poly head coach Joe Callero talks about the Mustangs, as they look to finish the season strong. 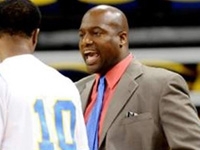 Southern head coach Roman Banks talks about the season to date and what lies ahead. 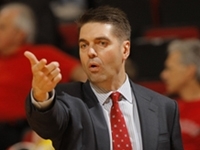 Arkansas State head coach John Brady talks about his team and the Sun Belt Conference. 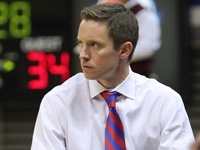 UT Arlington head coach Scott Cross talks about his team's focus on the little things. 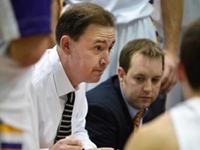 James Madison's Matt Brady talks about his young team's play, Shots from the Heart and more. 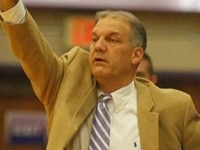 Niagara head coach Joe Mihalich talks about his young Purple Eagles, Skip Prossser and more. 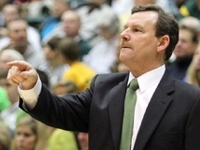 Wright State head coach Billy Donlon talks about his teams ups and downs this season. 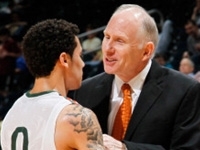 Miami head coach Jim Larranaga talks about the tremendous season the Hurricanes are having so far. 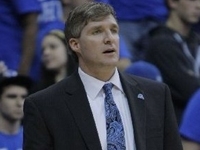 Air Force head coach Dave Pilipovich talks about the success his team has had thus far this season. 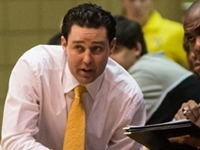 Valparaiso head coach Bryce Drew talks about some unfinished business for his senior-laden team. 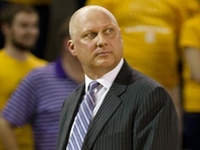 East Carolina head coach Jeff Lebo talks about his team, which is making a push for postseason. 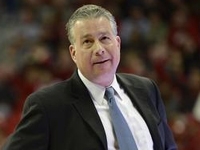 Cornell's Bill Courtney talks about his young team, which is on the rise in the Ivy League. 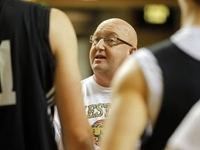 Northeastern head coach Bill Coen talks about the great season the Huskies have had thus far. 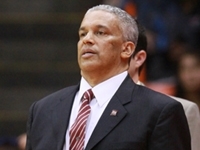 New Mexico State's Marvin Menzies talks about his team's success after a slow to start to the season. 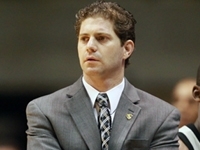 Sacramento State head coach Brian Katz talks about the great season his team is quietly having . 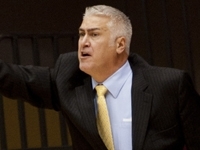 Montana's Wayne Tinkle talks about his team, which is seeking its second straight NCAA appearance. 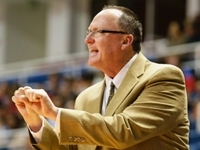 UC Irvine head coach Russell Turner talks about his team and the Big West Conference. 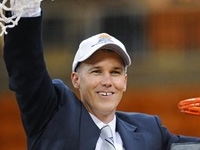 Sam Houston State's Jason Hooten talks about his balanced attack and the Southland Conference. 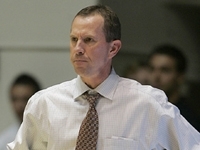 UALR head coach Steve Shields talks about his youthful team which is very talented. 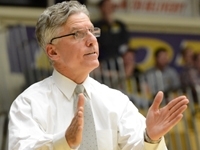 Western Ilinois head coach Jim Molinari talks about the new era of Leatherneck basketball. 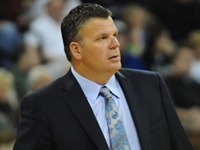 Creighton's Greg McDermott talks about his involvement with Coaches vs. Cancer and his Bluejays. 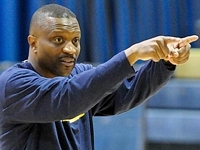 Delaware's Monte Ross talks about tough early-season challenges and playing good ball in February. 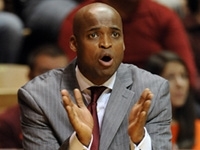 Denver's Joe Scott talks about his team's slow start to the season and their great play of late. 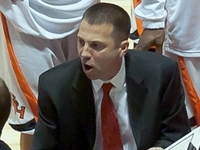 Houston head coach James Dickey talks about the progress his young team has made so far this season. 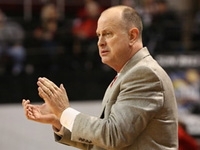 Bradley head coach Geno Ford talks about his young team which on the verge of being really good. 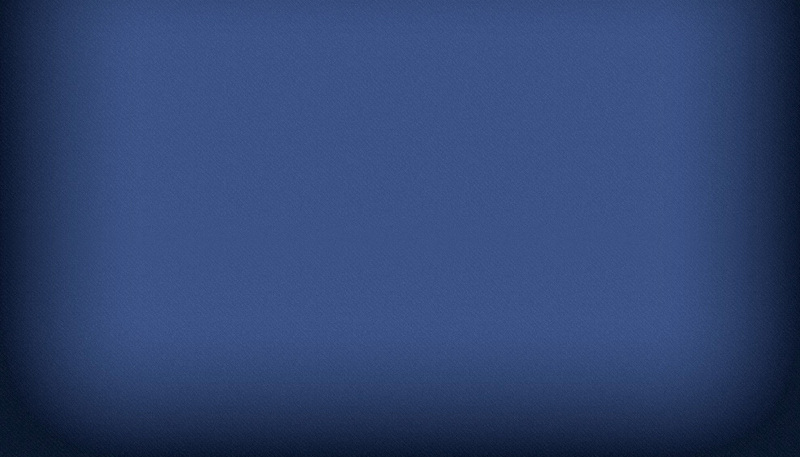 South Alabama's interim coach Jeff Price talks about how the Jaguars have handled the coaching change. North Dakota's Brian Jones talks about his 2010 talented freshman class who are now all juniors. 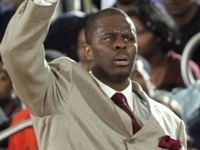 North Carolina Central head coach LeVelle Moton talks about his team's great season to date. 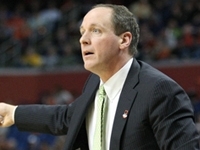 Vermont's second-year head coach John Becker talks about his team and competing in America East. 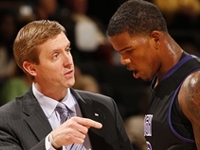 High Point head coach Scott Cherry talks about his unique University and his ever-improving team. 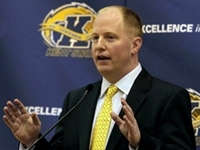 Northern Kentucky's Dave Bezold talks about transitioning to division I and the challenges ahead. 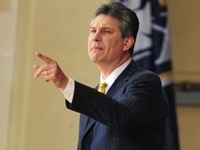 Charleston Southern's Barclay Radebaugh talks about his team and the Big South Conference. 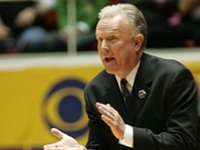 Hartford's thrird-year head coach John Gallagher talks about the progress has team has made. 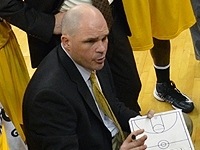 Army head coach Zach Spiker talks about his young team, which includes five freshmen starters. 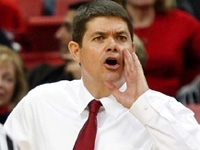 UNLV head coach Dave Rice talks about his team and the very tough Mountain West Conference. 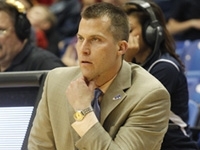 South Dakota State coach Scott Nagy talks about trying to repeat at Summit League champions. 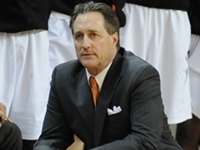 Pacific head coach Bob Thomason talks about his team and his final season in the profession. 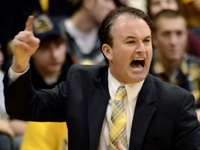 Towson head coach Pat Skerry talks getting things turned around and the buzz around program. 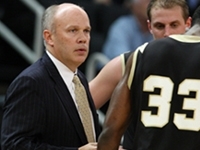 Oakland head coach Greg Kampe talks about winning 500 games and his 2012-13 Golden Grizzlies. 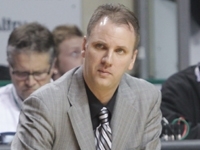 North Dakota State head coach Saul Phillips talks about the great commitment to winning at NDSU. 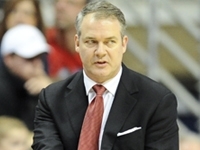 Stony Brook head coach Steve Pikiell talks about his team's success and the UConn connection. 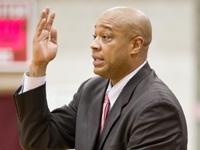 Rider's first-year coach Kevin Baggett talks about the transition and his team this season. 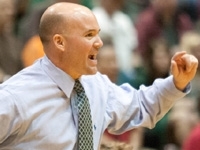 Stetson head coach Casey Alexander talks about the progress his team has made in two years. 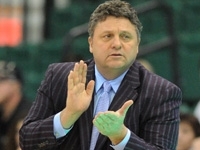 Stephen F. Austin head coach Danny Kaspar talks about continued success in the Lone Star State. 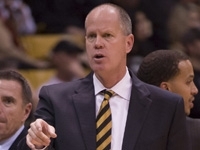 Colorado head coach Tad Boyle talks about his team, expectations and getting back on track. 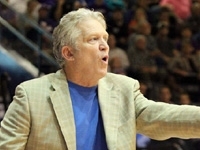 Northwestern State's Mike McConathy talks about his team and the Southland Conference race. 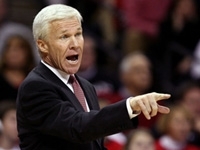 Davidson's Bob McKillop talks about his career, why his has remained at Davidson and much more. 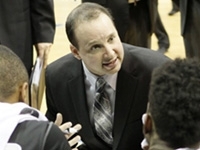 Akron head coach Keith Dambort talks about his team's sucess and the Mid-American Conference. 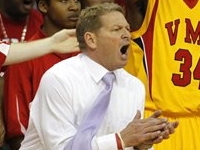 VMI head coach Duggar Baucom talks about his team's start and his star player Stan Okoye. 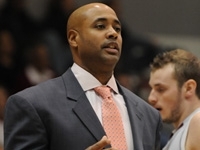 Holy Cross head coach Milan Brown talks his team's progress and the Patriot League race. 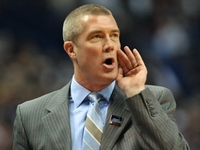 Indiana State coach Greg Lansing talks his team and the leadership of All-American Jake Odum. 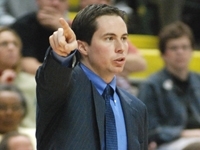 Long Beach State head coach Dan Monson talks about his team's start and the race in the Big West . 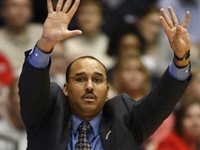 Monmouth head coach King Rice talks about his battle with battle with alcoholism and his long road. 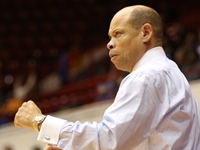 Louisiana Tech head coach Michael White talks about the Bulldogs great start, after a poor start last season. Bucknell's Dave Paulsen talks about the Patriot League race, the path he took to get to Bucknell and more. 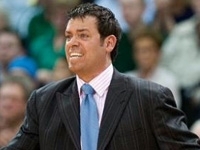 Manhattan's Steve Masiello talks about how his connection with the NY Knicks led him into coaching. 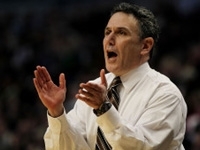 Loyola MD head coach Jimmy Patsos talks about a variety of difference subjects including his team. 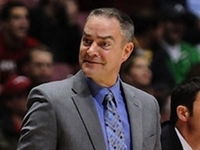 Florida Gulf Coast's Andy Enfield talks about his team's progress heading into the New Year. 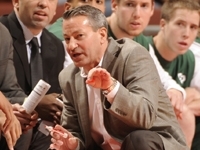 La Salle's Dr. John Giannini talks about his team's great start, the Atlantic 10 and much more. 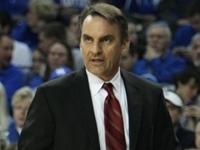 Mississippi State's Rick talks about his team and being a part in the historical "Game of Change." 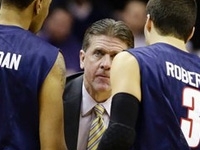 NJIT's Jim Engles talks about the vast improvement in the program and dealing with the bloggers. 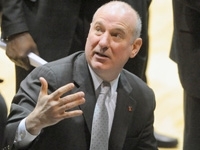 Mercer's Bob Hoffman talks about dealing with expectations and his team's up and down start in 2012-13. 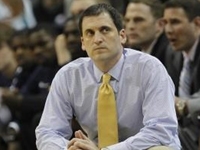 Murray State's Steve Prohm talks about why the Racers should be considered among the game's elite. 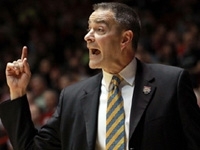 Drexel's Bruiser Flint talks about last season’s disappointment, this year's challenges and more. 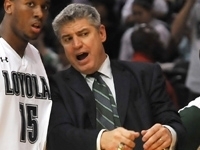 Tulane's Ed Conroy talks the move to the Big East and his concerns for the future of the game. 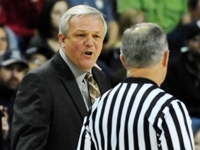 Bryant head coach Tim O'Shea talks about the 4-year transistion to DI and recent successes. 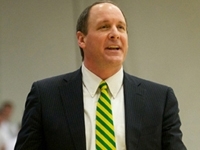 William & Mary's Tony Shaver talks about his team and the changing college basketball landscape. 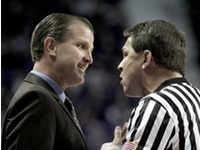 Weber State's Randy Rahe talks about the 2012-13 Wildcats and basketball officiating. 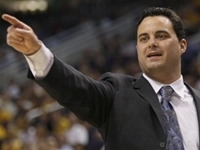 In just over three seasons Sean Miller has returned Arizona basketball to one of college basketball's elite. 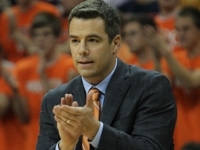 Now in his fourth season Virginia head coach Tony Bennett talks about the Cavaliers. 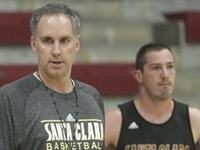 Santa Clara head coach Kerry Keating talks about overcoming a disasterous 2011-12 season. 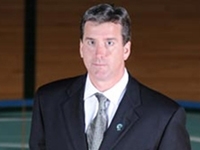 Now in his third season Alan Major has Charlotte ascending in the Atlantic 10 Conference. 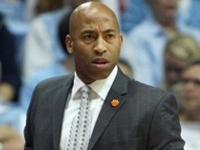 After five seasons as an assistant coach, James Johnson is now in charge at Virginia Tech. 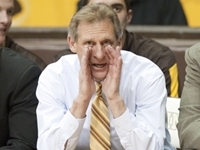 Wyoming's Larry Shyatt talks about the Cowboys, which are off to the best start since 1987-88. 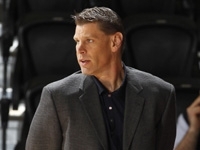 Loyola Chicago's Porter Moser talks about his team, his mentor and a game against Mississippi State. 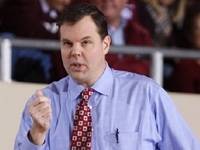 Eastern Kentucky's Jeff Neubauer talks about a great start, the OVC, John Beilein and more. 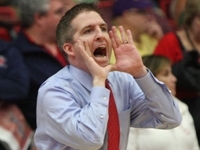 UL-Lafayette's Bob Marlin talks about his acting career, his team and the Sun Belt Conference. 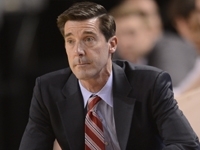 Saint Peter's coach John Dunne talks about his team and the very competitive MAAC. 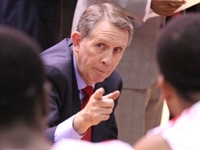 Now in his 16th season Bobby Braswell looks to get Cal State Northridge back into the postseason. Columbia's Kyle Smith talks about trying to get the Lions in postseason for the first time in over 40 years. 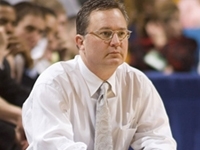 Southern Illinois coach Barry Hinson talks about returning the Valley and the rich Saluki tradition. 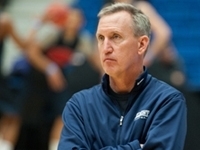 Belmont's Rick Byrd talks about his team's sustained success, a new league and more. 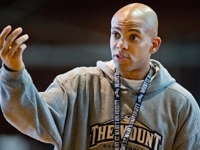 Mount St. Mary's first-year coach Jamion Christian talks about returning home to The Mount. 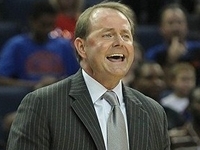 Middle Tennessee's Kermit Davis talks about expectations and the depth of the Sun Belt. 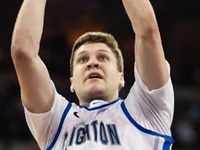 Albany's Will Brown talks about his teams upset win over the Washington Huskies. 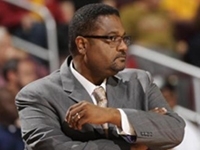 Iona's Tim Cluess talks about the Gaels and dedicatin the season to Michael Haynes. 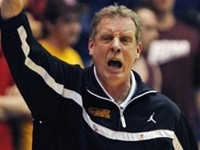 Western Michigan's Steve Hawkins talks about, his team, Coach Wooden, baseball and more. 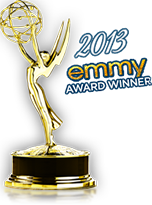 Campbell's Robbie Laing talks about expectations for one of the preseason favorites. 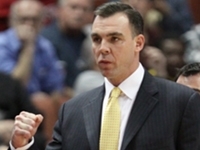 Toledo's Tod Kowalczyk talks about how about the APR and how his team is dealing with it. 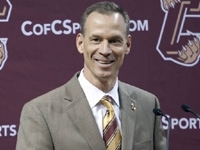 College of Charleston's Doug Wojcik talks about the move to Charleston, South Carolina. 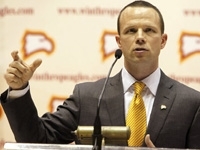 Winthrop's new head coach Pat Kelsey talks about his new job and his old friend Skip Prosser. 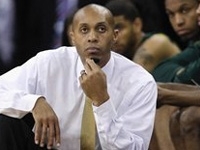 Norfolk State head coach Anthony Evans talks about last season's magical run and more. 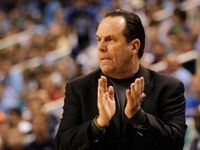 Notre Dame head coach Mike Brey talks about the upcoming season and his beloved Baltimore Orioles. 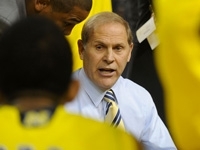 Michigan head coach John Beilein talks about the expectations for his young Wolverines.